New Delhi: Sybelle Foxcroft, founder Director at Cee4life, has sent a proposal to the National Tiger Conservation Authority (NTCA) in India to undertake the building of a special sanctuary, one that is humane and one where dangerous Tigers can live without the fear of predating on humans, or revenge attacks on them. 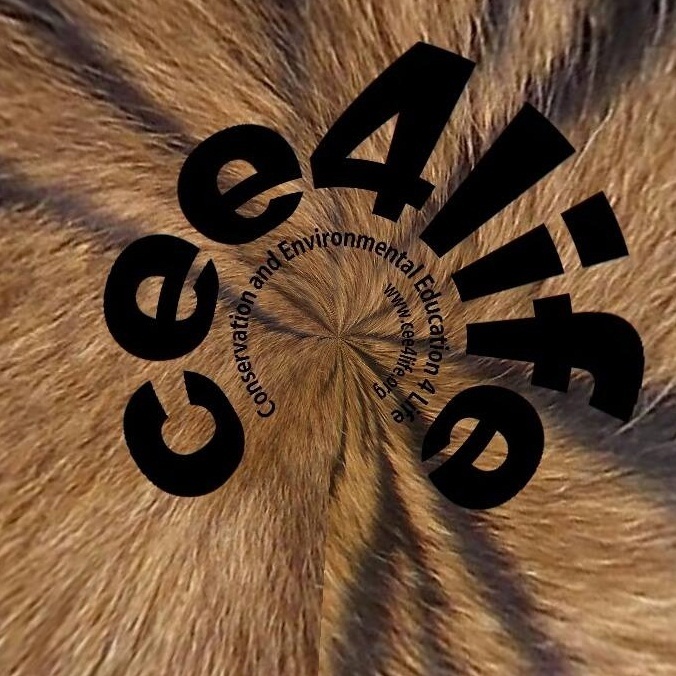 Cee4life, an Australian registered Charity devoted to Conservation and Environmental Education, has developed the plans and design of one such sanctuary for tigers in another country. Sybelle points out that with the human animal conflicts rising along with the human overpopulation, the dedication to preserve these incredibly beautiful Tigers suffering from various ailments and threatened by conflict issues should be rehomed into other areas, should be given the opportunity to live out their lives in a highly ethical and state of the art sanctuary, which would replicate their natural environment, yet protect them and prevent other conflicts. Such a facilty would be ideal for Tigers identified as ailing but still with the ability to live a long life or Tigers that are known to gravitate towards humans repeatedly, she goes on to emphasise. Tigers in captivity, according to Sybelle, cannot live in small cells. The minimum enclosure (including enrichment etc) must be at least 500meters square per tiger with an additional 50 sq. meters added if a second tiger is placed in the same enclosure. Cee4life has even developed a design for this specific type of highly ethical venue for 30 tigers within another country. Sybelle points out that it has become more and more frequent that Tigers are involved in human-animal conflict – some leading to the deaths of humans. This is a tragedy as we all know and understand, not only because of the human deaths, but also because of the possibility of revenge attacks that can occur on the Tiger itself. The situation with the wonderful Tigress Machali, Sybelle underlines as a good example of people getting in what I refer to as a “pack mentality”, thinking that the best for Machali is to euthanise her to “put her out of her misery”. It was clear that in Machali’s case, this iconic and beloved girl simply needed humane care and protection and any aid that was needed for injury to this dear old girl, she says and goes on to add. The amazing Tiger Ustad is a problem as he seems to be killing humans, but there is always a reason for a tiger to start doing this things. It could be lack of prey species, a possible encounter with humans which has caused the tiger to be repulsed by humans (many cases have been documented regarding this, a few very famous cases in Russia where tigers hunted poachers only! ), human animal conflict, loss of habitat etc. Ustad is yet another Tiger that is in vital need of another option. From reports I have received from literally hundreds of tiger lovers within India, they are distraught that Ustad seems to have now hurt himself within the cage he is in. 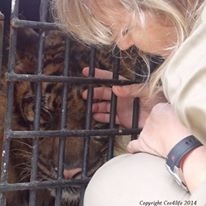 Sybelle’s organisation is in the process of helping the Sumatran Tigers in the wild, along with a variety of captive Tigers, many Bengals who have been placed in horrendous conditions in various countries. As with Charger, troublesome Tigers do need to be cared for, no matter how ferious. Every single Tiger counts, no matter the personality. In her letter to NTCA, Sybelle has said please do not think “its too hard to do this”, the only reason things are impossible, is if we humans say they are. We need to be more dedicated and humane towards these animals, we cannot lock up true wild tigers in unethical enclosures and expect them to live camly. I know that I do not need to tell you of the high animal welfare and care needed for captive tigers, however, my need to write to you all was inspired by the many Indian people who have written to me, along with the history and fate of the many lost tigers to human animal conflict. What a wonderful opportunity for India to create a superb and highly ethical sanctuary for these types of Tigers. Photograph of one part of the rescue sanctuary which Cee4life is currently involved in. Something like this would also be an opportunity to educate thousands, if not millions of people on the Tigers, while conserving their precious gene pool, and without any type of human “in your face” interaction. 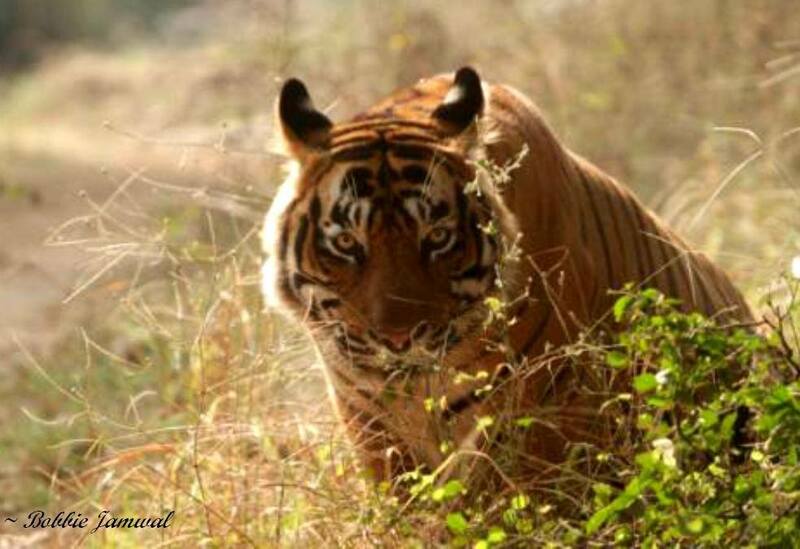 It would be a precious jewel of India for these beloved Tigers. On behalf of Cee4life, Sybelle has also offered to aid India in every way. We do not want anything from NTCA, we do what we do because we truly love these beautiful Tigers, and wish to also protect humans, Sybelle adds. Wildlife expert Kaushlendra Singh has extended support and appreciated the idea of a special sanctuary for a special category of tigers proposed by Cee4life. He has drawn attention to large reserve forest areas( which have no carnivores ) where such facility can come up. he has even volunteered to put forward the proposal for setting up a special sanctuary for tigers and take up the matter with the state Chief Minister and Minister for forests. We need a National Tribunal for Wildlife related Crimes – Smita Dikshit, Attorney in the Supreme Court of India and Delhi High Court practicing on the Civil, Criminal and Constitutional Side. Ms. Dikshit agrees that we have reached the point where we do need a safe sanctuary to house any Tigers which have been termed as a threat by the local populace and this cannot be stressed enough bearing in mind the unfortunate incident of last year when a Tiger was killed due to irate villagers following death of tea estate workers. Human animal conflicts are bound to increase since people, whatever rosy pictures the media may present, never value the life of any animal at par or as sacred as that of a human even if the human is at fault transgressing into the animal’s area. It would take a lot of political will to strengthen the Laws with regard to such conflict issues so that the animals can be saved and justice be done. The work of the Forest department and NTCA has been laudable since they have always rushed into such conflicts and tried to assuage the irate tempers of human victims and excuse my saying so but to my limited knowledge if Ustad aka T-24 had not been shifted, probably he would have been killed. Sometimes removing an animal against whom people in their vindictiveness have hastily passed a death sentence, seems to be the only step to save it. Irate mobs have been known to kill and burn and indulge in all sorts of depraved crimes and until the Law and order enforcement agencies are in a position to act swiftly and guarantee the safety of the Forest department employees as well as the wild animals, I do not think prudently we can risk T 24 or for that matter any other animal. I am actually looking forward to a guiding role and more concrete steps from Dr Gopal since as the DG of Project Tiger he is now in a position of formidable influence. Whenever I think of these issues, my mind immediately travels back to the decisions of Justice Swatanter Kumar as the Chairperson of the National Green Tribunal. Maybe we need a National Tribunal for Wildlife related Crimes too and this can only be mooted by all of you. Mr Singh has very kindly agreed to take up the proposal for setting up such a safe zone with the Chief Minister of Uttar Pradesh and this is needed to be done real soon so that rehabilitation of animals under threat can be done. I do hope NTCA can step in on behalf of T 24 contrary to what the Forest Officials have been stating about provisions of the Wildlife Protection Act giving them sweeping powers to remove an animal from its habitat and hold it for its own safety. I am yet to study the complete ramifications but what concerns me is that every time we allow a mob to take over and dictate how a situation is to be handled, Justice is always a casualty. Why can’t Mukundra Tiger reserve be used? Why can’t we use Mukundra Hills Tiger reserve for Ustad. DFO is already in place.